Having been dependent on imports for a long time, Brazil has gained its oil independence since 2007 by relying on the exploitation of its offshore resources, including the so-called « pre-salt » area. The history of petroleum Exploration and Production (E&P) and the roles of its main players, including the national company Petrobras inform this conquest. How has Brazil moved from difficult oil exploration without very convincing results to major offshore discoveries whose production is expected to grow over the next decades, placing Brazil among the top eight world producers in 2040 according to the 2017 World Energy Outlook (WEO)? The decisive stages of this development were the creation of the Petrobras public company, the opening of the upstream sector to private companies and the major innovation of drilling at very great depth. The first record of oil exploration in Brazil was in the 19th century. During the Imperial Period, the Decree No. 3,352-A was launched on June 30th of 1864, which granted Thomas Denny Sargent permission to extract peat, oil, and other minerals, either by himself or through a company, in the Camamu and Ilhéus districts, province of Bahia, for 90 years. In 1892, Eugênio Ferreira de Camargo acquired land that included an old coal concession in Bofete, São Paulo. Camargo then hired a Belgian scientist, Auguste Collon, to conduct analyses with him and report on the oil prospects. Guided by favorable perspectives, outlined in one such report, Camargo acquired a rig and drilled a well to a depth of 488 meters, from which two barrels of oil were produced. It was an entirely private initiative. Camargo handled all the technical and logistical costs of the operation and financed the geological investigation based on the drilling work. However, he was faced with the limits of difficult geology and high costs of exploration. In 1907, the Geological and Mineralogical Service of Brazil (GMSB) was established to carry out activities related to oil exploration. GMSB drilled more than 60 wells in several Brazilian states. However, most of these were unsuccessful. Among these, the drilling of an 84-meter-deep well in Mallet, Paraná in 1919 must be mentioned. This was the first survey carried out by a public agency, but was also without success. In 1934, through Decree n. 23,979, the Service for Promotion of Mineral Production (DNPM) was established for the purpose of promoting mineral production in the country. The creation of DNPM was one of the first Brazilian initiatives aimed at a specific policy for the development of mineral activities in Brazilian territory. As it had no expertise in the exploration of Brazilian sedimentary basins, DNPM hired US oil specialists to research and identify potential producer territories. During this period, an independent Brazilian petroleum company asked the DNPM for a rig to prove that an exudation of oil in Lobato would be economically feasible to produce. However, the DNPM refused to comply with this request. This refusal provoked a reaction from the press with the slogan: « The DNPM was not founded to find oil but to prevent anybody finding it ». In response to this protest, in 1939 the DNPM drilled well n. 163, with a rotating rig, in Lobato, Bahia. Some oil was discovered, though not enough to be economically feasible. Shortly after this discovery, the government prevented private oil companies from exploring within a 60 km radius of Lobato. In 1938 the National Petroleum Council (CNP) was created and charged with evaluating the requests for research and mining of oil deposits. The discovery in Lobato (1939) encouraged CNP to continue exploratory work in the Recôncavo Basin, where other discoveries were made in Candeias – a first commercial well was drilled in 1941, Dom João and Água Grande. In 1941, the government passed the Petroleum Code to regulate the legal regime of Brazilian oil and natural gas deposits, and also to foresee the possibility of the government reserving presumed petroleum areas, in which there would be no authorization for research and mining. This code contributed to the strengthening of the CNP as a supervisory entity, since petroleum and natural gas research and development activities depended on the prior authorization of this Council. After the discoveries in Bahia, drilling continued on a small scale, despite the growing demand for oil and oil products in the country. National production at this time was only 2,700 barrels per day, while the consumption was approximately 170,000 barrels per day, most of which was imported in the form of derivatives. Then began the debate on the best policy to be adopted to regulate the exploitation of oil – freedom for private initiative or state monopoly regime. This conflict was resolved on October 3, 1953, when, after an intense popular campaign, President Getúlio Vargas signed Law No. 2,004. This law established a state monopoly over research, drilling, refining, and transportation of petroleum and its derivatives, and it created Petróleo Brasileiro SA – Petrobras – to enact the monopoly. The origins of the oil sector in Brazil is characterized by small-scale exploratory campaigns with no satisfactory results and with little governmental incentive, as reported by ONIP/GEO, 2003; Dias and Quaglino, 1994; Pires, 2000; Cardoso, 2008; Victor et al, 2012; Braga, 2014. This period was marked by the beginning of Brazilian industrialization, developing out of its agro-export base. Thus, it is marked by strong growth in demand for energy, resulting in increased imports of oil mainly provided by large International Oil Companies (IOCs). However, in this period, the institutions related to the petroleum industry were fragile and state interference in the industry occurred regularly. 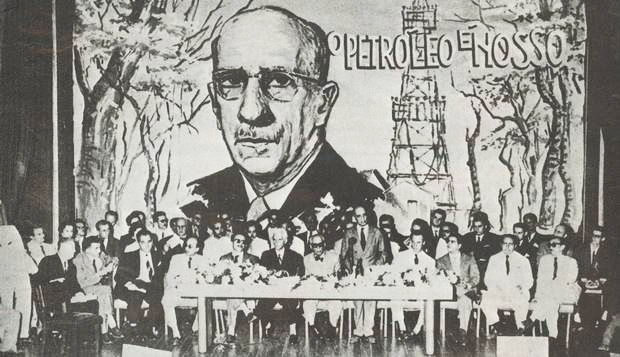 The period prior to the creation of Petrobras was marked by intense debate between nationalists, who supported the slogan « Keep Brazilian oil for Brazilians » (Image 1), and those who believed that opening the market to the IOCs would provide technological education and funds to invest in the oil market. The creation of Petrobras reflects the adoption of the nationalist model and provides evidence of a substantial increase of state presence in the Brazilian oil sector. In addition to establishing Petrobras and defining new attributions to the CNP, Law No. 2,004 of 1953 also disciplined the government’s monopoly on research, mining, refining, and shipping of oil, its derivatives and rare gases, among other activities related to the petroleum industry, expressly excluding the distribution of petroleum products. Petrobras and the CNP would exercise the Government’s monopoly. The Council would be responsible for guiding and supervising the monopoly activities and Petrobras and its subsidiaries would be responsible for executing the monopoly. Petrobras started operations with few reserves and an insignificant logistics infrastructure to supply petroleum products to consumers. The assets Petrobras received from the CNP consisted of oil fields that produced 2,700 bpd and recoverable reserves of 15 million barrels; a reality that set it apart from other National Oil Companies (NOCs). Until the 1970s, when Brazil was under a dictatorial regime, most investments were concentrated downstream, aiming at the construction of a refining park in Brazil. The main objective was to make the Brazilian oil industry vertical. During this period, Petrobras also invested in the training of its technical staff, who participated in courses abroad and were trained by foreign specialists. After the oil crisis in the 1970s, Petrobras changed its strategy by reorienting its investments upstream, pressured by the Geisel Government to find oil within the national territory. While the geological data suggested that Campos would hold sizable oil reserves, Petrobras had little technological capability to operate offshore. Cooperation with IOCs was needed to speed up the development of Campos and there was strong interest by IOCs in the area. However, Petrobras was not keen to share its findings with them. As a remedy to this situation, and considering the rapid increase in resources spent on imports due to the 1973 oil crisis, Geisel determined in 1975 that Petrobras should enter into risk contracts with the IOCs. This decision was communicated through a television advertisement, without any legal support. Petrobras kept the oil monopoly, since the contractors would be mere service providers. 103 risk contracts were signed with 32 foreign companies. The contracted areas presented a greater geological risk, and, for the most part, had already been prospected by Petrobras with discouraging results. Threatened by competition from the IOCs, Petrobras significantly increased its investments in upstream activities. In contrast to the early 1970s, when upstream investment represented about one-quarter of its resources, half of its resources were already invested in exploration and production (E&P) by 1979. Petrobras also redirected its projects from shallow water to deep water and invested in the development of technologies and practices to exploit the Campos Basin. The second oil crisis in 1978 hit the Brazilian economy hard. Inflation reached 72.2%, and external debt grew to an estimated US$ 50 billion at the time. The government was forced to take measures to restrict domestic consumption of petroleum products, such as closing gas stations during certain periods, especially on Sundays. In 1980, domestic oil production supplied only about 17% of demand. Considering the high price of oil, it was necessary to drastically reduce the level of imports. The government set a target of producing 500,000 bpd by 1985. In pursuit of this goal, the government proposed to sign production-sharing contracts to attract IOCs. However, the military regime that was in power at the time lacked political support and this proposal did not go forward. In 1984 and 1985 Petrobras discovered the giant fields of Albacora and Marlim in the Campos Basin, both in deep water. In 1986, the state created the Program of Technological Innovation and Advanced Development in Deep Water, to create the ability to operate in deep waters, from 2000 to 3000 meters. The Constitution of 1988, drafted by a democratic government after 20 years of military rule, prohibited the creation of new risk contracts but protected the existing contracts. 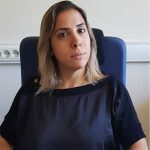 This prohibition encompassed all forms of association, including joint ventures, or, under Brazilian law, a consortium or partnership that by their nature established participation in their partners’ results. Thus, we see that the second phase of the oil sector in Brazil is characterized by the creation of Petrobras in 1953, after nationalist pressure, and by its structuring process. Pinto Jr., 2016, Victor et al, 2012 describe this period in detail. During this period, Petrobras was able to achieve a vertical structure, forming a refining park in Brazil. Pressured by the government because of the increase in imports resulting from oil shocks, Petrobras started its offshore exploratory campaign aimed at raising the level of domestic production. The risk contracts were introduced in order to bring technical cooperation from IOCs to Petrobras’ offshore campaigns. However, this effort did not present satisfactory results. It was only in the 1980s that the giant fields of Albacora and Marlim, both in deep water, were discovered. Given this result, Petrobras focused on deep-water operations, which would lead Brazil to self-sufficiency in oil production in the 2000s. the establishment of competitive markets in areas formerly occupied by monopolies, both legally speaking and in reality. Thus, the Constitutional Amendment No. 9 of 1995 ended Petrobras’ monopoly on the activities of the Brazilian oil sector. The government preserved for itself the monopoly on the mineral resources present in the subsoil, providing for the possibility of contracting national or private oil companies to exploit them. The Brazilian Petroleum Law was passed in 1997, creating the National Petroleum Agency (ANP), with the ability to contract, regulate and supervise the activities of the national petroleum industry (Image 2). The creation of ANP followed the example of other international institutions, such as the Department of Energy of the Federal Energy Regulatory Commission in the United States. The Petroleum Law also terminated the CNP and created the National Council of Energy Policy (CNPE), an advisory body of the Presidency of the Republic, whose purpose is to assist in the elaboration of the energy policy guidelines. The Petroleum Law revoked the law that created Petrobras and established new rules. According to the new rules, Petrobras would operate under free competition with other companies. It also determined that the government would maintain a controlling share in Petrobras with an ownership and possession of at least fifty percent of the shares plus one share, of the voting capital. The Petroleum Law upheld Petrobras’ rights over its upstream and downstream assets. Petrobras returned the exploratory blocks without any expectation of discovery to the Government and was obliged to allow free access for third parties to its transportation and storage assets. Petrobras’ vertical operating structure was maintained in order to induce Petrobras to follow the contemporary business agenda, competing with and associating with major IOCs and independent Brazilian companies. 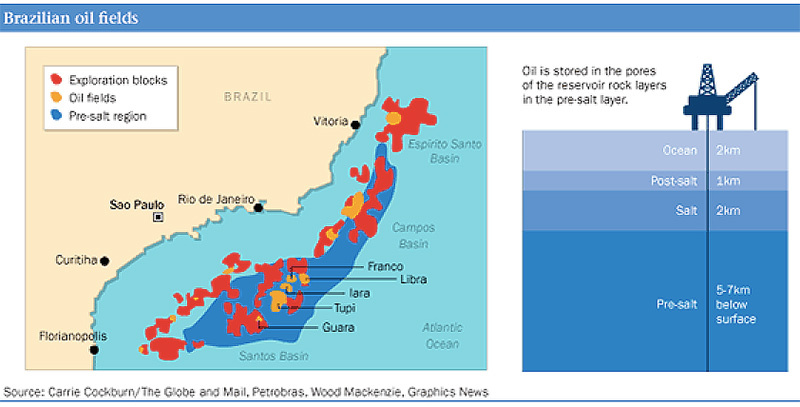 Petrobras could choose to keep the fields already in production and retain the most attractive exploration areas. 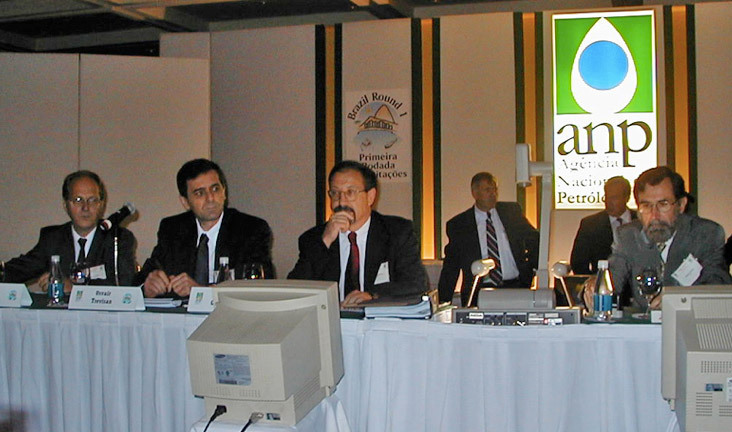 Thus, in 1998, ANP and Petrobras signed 397 concession agreements, called Round Zero – 115 for exploratory blocks, 51 for developing fields, and 231 for fields in production. Petrobras was thus able to maintain its rights over the fields that were in production and the blocks in which it had made commercial discoveries or significant investments in the exploration. From 1999 to 2008 the ANP held ten bidding rounds, which, can be divided into two groups. The first group consists of the initial four rounds, characterized by ANP’s orchestration of the entire bidding process, from the definition of the blocks to the signing of the concession contracts. The second group, consisting of the last six rounds, is characterized by the more active presence of the CNPE, which was responsible for authorizing the necessary studies and approving the blocks to be offered. The first group of bidding rounds was carried out during the neo-liberal Fernando Henrique Cardoso’s administration. The second was carried out under the populist administration of Luiz Inácio Lula da Silva as leader of the Partido dos Trabalhadores (PT), the Worker’s Party. It must be highlighted that during the 9th Round, after Petrobras’ communication to the presidency about the discovery of the Lula field in the pre-salt, the CNPE published Resolution n. 6/2007 excluding from the tender 41 blocks related to the possible accumulations in pre-salt reservoirs. In this resolution, the CNPE still determined the changes to the regulatory framework, in order to contemplate a new paradigm for the exploration and production of oil and natural gas for the pre-salt area, respecting the existing contracts. Thanks to the exploratory bidding rounds mechanism, the opening process was very successful in the period between 1999 and 2008, when ten annual rounds of block bids were held. This process allowed for the expansion of the exploratory effort and made it possible to reach new frontiers of exploration of hydrocarbons. It is precisely in this context that the pre-salt was discovered. As for Petrobras, between 2004 and 2009, the NOC intensified its investments in the industrialization of the Brazilian oil sector. Guided by the neodevelopmental policy of Lula’s administration that aimed to revitalize the local industry, Petrobras adopted a strategy of promotion of refining and biofuels. The end of Petrobras’ monopoly and the institutional restructuring of the sector up until the discovery of the pre-salt characterizes the third phase of the Brazilian oil sector. Liberal politics prevailed for most of this period, being replaced by a policy of progressive intervention after the PT’s arrival to the presidency. Over this period, several analyses have been conducted by Pires, 2000; Nunes and Campos, 2010; Victor et al, 2012; Ribeiro, 2014; Braga, 2014; Pinto Jr, 2016. This period marks the creation of the ANP, the regulatory body of the sector, and the CNPE, the presidential advisory council to establish the sector’s guidelines. Petrobras has stood out in the offshore exploration, increasing considerably the volume of its production and its reserves from the discoveries in deep waters. The ANP held ten annual bidding rounds, which included IOCs, independent Brazilian companies, and Petrobras. The discovery of the pre-salt, during the 9th Bidding Round, led the CNPE to determine the drafting of a new regulatory framework appropriate to the exploitation of such a province. Thus, the oil sector inaugurated a new phase with a new institutional organization. The discovery of Lula field (Tupi prospect) in the province of pre-salt in 2007, considered as one of the largest in the world in the last three decades, opened a new phase in the Brazilian oil sector. In 2008, the ANP held the 10th Round, offering only onshore blocks and thus respecting the government’s recommendation not to include blocks in the pre-salt province. This was the last bidding round performed before changes were made to the regulatory framework. It was not until 2013 that the auctions began again, granting E&P rights under a concession regime in the Brazilian sedimentary basins (Read: A descoberta do pré-sal e as mudanças do marco regulatório na indústria brasileira do petróleo). A new regulatory framework was launched in 2010. The first law published was the Law of Onerous Assignment and Petrobras’ Capitation, which instituted a new type of IPA – an Onerous Assignment Agreement – and authorized the government to subscribe for Petrobras’ joint-stock shares and to pay them with federal public debt securities. The second law to be launched was the one that created the new Brazilian NOC Pre-salt Petroleo S.A. – PPSA. The third was the Production Sharing Law, which instituted the production-sharing regime for the pre-salt area (polygon delimited in the Annex of the Law) and for the strategic areas. This law also established the exclusive operation of Petrobras and its minimum participation of 30% in the Production Sharing Agreement (PSA) and changed some provisions of the Petroleum Law. With the publication of these new laws, a mixed regulatory regime was introduced in Brazil, composed of three fiscal regimes. In 2010 the Brazilian government made significant legal changes in its oil sector, inverting the previously undertaken market reforms and intensifying state interference in the sector. The main goal was to increase governmental strategic resource control to guarantee that future Brazilian generations could take advantages of the proceeds of the oil reserves. In September 2010, the government signed the onerous assignment agreement with Petrobras, granting Petrobras E&P rights under blocks located in the Pre-salt area (Franco, Florim, Northeast of Tupi, South of Tupi, South of Guará, Entorno de Iara and Peroba). In the terms of this agreement, Petrobras has the right to produce up to 5 billion barrels of oil and natural gas for 40 years, extendable by five more. The initial value of the agreement was adjusted by R$ 74.807.616.407,00 (seventy-four billion, eight hundred and seven million, six hundred and sixteen thousand, four-hundred and seven reais.) Petrobras made the payment with the resources from the sale of common and preferred shares, through a public capitalization process, as follows: R$ 67.8 billion in Financial Treasury Bills, which the R$ 7 billion in cash. Due to the Pre-salt operations developed in the blocks under onerous assignment and concession agreements, the percentage of Petrobras’ investments in E&P increased significantly from 2010, accounting for more than 65% of the company’s total investments. In 2013 ANP restarted the auctions, organizing the Eleventh Bidding Round, focusing on new technological frontiers and mature areas, and the Twelfth Bidding Round, focusing on the exploration of shale gas: both under the concession regime. The ANP also organized the first Bidding Round to sign a PSA, in which the area of Libra was offered. The Libra area, with estimated volumes between 8 and 12 billion barrels recoverable, was sold by the only consortium that offered a bid in the auction: Petrobras (40%), Shell (20%), Total (20%), CNPC (10%) and CNOOC (10%). The profit oil rate offered was the minimum foreseen in the tender protocol of 41.65%. The Government received R$ 15 billion a signature bonus. It is important to mention that PPSA, which is responsible for monitoring the PSA and has a mandatory presence in the consortium as a government representative, was only officially established in 2013, through Decree n. 8,063. Its directors were appointed days before the Production Sharing Bidding Round. The uncertainty regarding the performance of PPSA in the consortium could have caused some concerns for potential investors, adding risks to investments in the Pre-salt area. Due to this result, discussions on a proper regulatory framework for the Pre-salt continued to occur. Production Sharing Law raised questions, mainly in relation to the exclusive operation of Petrobras and the creation of PPSA. In addition, considerations were made regarding the return of the concession regime to the Pre-salt area and the adoption of service contracts for direct contracting of Petrobras. In 2013, two bills were proposed to change the Production Sharing Law. Bill 4973/13 proposed the revocation of the exclusive operation of Petrobras and its mandatory participation with a minimum of 30% in the consortium. Bill 6726/13 proposed the return of the Pre-salt area to the concession regime. The Thirteenth Bidding Round was carried out in December 2015, and the results were weak in relation to the collection and the blocks acquired. 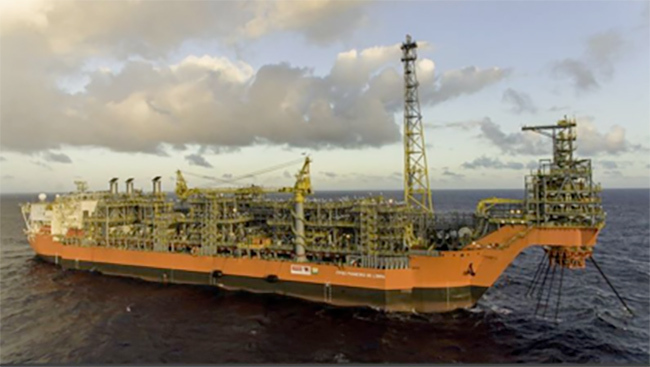 It was the first time that Petrobras has not participated in an auction since the First Bidding Round in 1999. This is because the increase in its production and reserves was accompanied by a strong debt, which, in a context of falling oil prices and devaluation of the Brazilian exchange rate, proved unsustainable. This context was further aggravated by the corruption scandals within the scope of the Car Wash, compromising Petrobras’s financing capacity. President Dilma’s impeachment in August 2016 ended a thirteen-year cycle of the ruling Workers’ Party, shifting the policy orientation towards greater governmental intervention in the oil sector with a liberal government. The presidency of Petrobras was also changed. In taking control of the state-owned company, Pedro Parente warned that Petrobras needed partners to explore the Pre-salt. Thus, it was necessary to change the Production Sharing Law, opening the possibility for other companies to operate in the Pre-salt. At the end of 2016, Federal Law no. 13,365 amended the Production Sharing Law, removing the obligation for Petrobras to be the sole operator of the Pre-salt area. However, it was foreseen that Petrobras’s preemptive right over the operation in the blocks would be offered in the Bidding Rounds. Upon exercising the preemptive right, Petrobras could participate in the consortium with a minimum of 30%. Federal Decree n. 9,041 of 2017, which regulated Federal Law no. 13.365, also provided that, in the hypothesis of Petrobras exercising its preemptive right, it may refuse to sign the PSA if the offer is above the minimum established in the tender protocol. the Fifth and Sixth Bidding Rounds to offer marginal accumulation. Furthermore, CNPE solved issues that caused complaints and increased uncertainties in the oil sector. It reduced the local content requirements and changed the methodology for calculating the reference price. New rules on unitization, commercialization of profit oil in PSA and waiver for local content were launched. The intense production of rules, corresponding to the demands of the industry, inaugurates a new phase for the Brazilian oil sector. New rules have been tested in the bidding rounds carried out in 2017 and 2018: the 14th and 15th Bidding Rounds under concession regime and the 2nd and 3rd Bidding Rounds under production sharing regime. In the 14th Bidding Round, despite less than only 13% of the acreage were awarded, a stellar cast of international majors have paid a record overall signature bonus, what it was considered by PIW Oct 23 2017 as a mixed message. In the 2nd and 3rd Bidding Rounds carried out in 2017, under the production sharing regime, the IOCs have pledged huge signature bonus and “profit oil” shares, representing a successful result. According to PIW Nov 6 2017, “Brazil’s government may have finally cracked the code to unlocking its presalt resources and reversing the constraints imposed by the heavy-handed state-led management of the past ”. In Mach 2018, ANP carried out the 15th Bidding Round, reaching another record in overall signature bonus collection. According to ANP General Director, there were diversity of operators, geographical diversity and extraordinary bonuses. In the PIW Apr 16’ 2018 analyzes, this auction showed an aggressive competition among the IOCs. For the 4th Bidding Round under production sharing regime, to be carried out in June of 2018, is expected the same positive results of the recent rounds, since it has already reached a record in the enrollment of IOCs. The change in the Brazilian regulatory framework characterizes the fourth phase of the Brazilian oil sector. Three new laws were passed, which allow the capitalization of Petrobras and the signature of the onerous assignment agreement; the creation of the new Brazilian NOC, PPSA; and the adoption of the production sharing agreement for the Pre-salt area and strategic areas. The result of the first Production Sharing Bidding Round, without competition, aroused several criticisms about the adopted model pressing for changes in the Production Sharing Law. The replacement of the interventionist government of the Worker’s Party for the liberal government of the Brazilian Democratic Movement Party (PMDB) after the impeachment of President Dilma catalyzed this process. In response to the requests of the industry, the Production Sharing Law was changed. CNPE also published new rules to relax and complement the regulation enforced and a calendar of Bidding Rounds was announced. 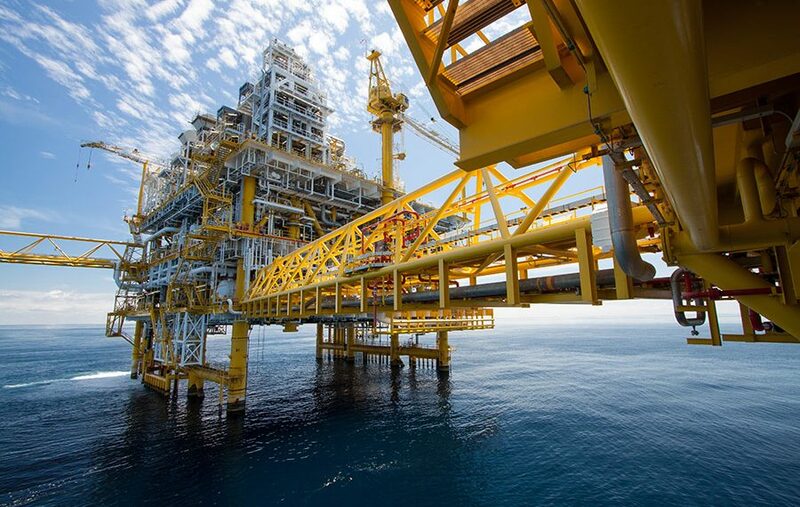 There is an effort by the government to attract investments to the Brazilian upstream sector. The recent Bidding Rounds results seems to confirm the attractiveness of the Brazilian sector and the achievement of objectives by the new rules implemented. Nevertheless, it is still early to make a complete assessment of the new context of upstream Brazilian Industry. This article has detailed the evolution of Brazilian oil sector, highlighting the government interference, as well the geological achievements since its beginning until reach the current level of exporter with the production of Pre-salt area. Through this article, it is possible to analyze the policies that have stimulated the current results and those that have hampered the development of the industry. According the IEA’s WEO predictions, Brazil will perform a relevant geopolitical role in the next years, being among the first eight oil producers countries in 2040, something difficult to forecast if we consider the first steps of the Brazilian Petroleum Industry. Thus, this article can serve as a material to be considered for the elaboration of future policies for the sector, in order to do keep the progress of Brazil Petroleum Industry. I am grateful to Prof. Catherine Locatelli, Prof. Helder Queiroz and Sylvain Rossiaud for all the advice in the drafting of this article. International Energy Agency. World Energy Outlook of 2017. Pinto Jr., Helder Queiroz. (2016) Economia da Energia: Fundamentos Economicos, Evolucao Historica e Organizacao Industrial. Elsevier. Rio de Janeiro. In portuguese: O petroleo é nosso. Geisel headed Petrobras (1969-1973) before being a Brazilian President (1974-1979). It is important to note that Petrobras already carried out activities in the pre-salt area before the Lula Field discovery, for example in ‘Parque das Baleias and Parque’ fields. Florêncio, Pedro. (2016) The Brazilian 2010 Oil Regulatory Framework and Its Crowding-out Investment Effects. Energy Policy 98 (November 1, 2016): 378–89. It should be remarked that the Law provided for a single contract for assignment onerous. Rodrigues, Larissa Araujo and Sauer, Ildo Luís. (2015) Exploratory Assessment of the Economic Gains of a Pre-Salt Oil Field in Brazil. Energy Policy 87 (December 1, 2015): 486–95. BRAGA, Luciana Palmeira. Individualização da Produção e os Contratos Internacionais de Petróleo – Série EDB, Edição: 1a (Saraiva, 2014).